On December 24, 2011, I was driving south on Hwy 36 from Boulder, CO when I looked left and spotted an object in the sky heading west. Object was black cigar-shaped with a white vapor ring around it. The vapor had a short tail trailing behind which evaporated very quickly unlike a jets vapor trail. Object appeared to be about 10-12,000 ft. in the air. Its speed was like that of an aircraft on approach to an airport but it maintained a level course and never descended. Thought the object might be an asteroid or meteor. No brightness, flames or debris being emitted. There was a bright blue sky with no clouds anywhere and no other aircraft were in the vicinity. Checked the time on the car clock at 10:50am. Exited onto McCaslin Blvd. heading west and continued to observe the object which gradually turned southwest. Could still see object moving away in the distance as I turned south. Lost sight of it shortly after driving among houses in the subdivision. Had feelings of amazement and puzzlement at what this was. First reported it that same evening as a meteor on the American Meteor Society website. A few days later received an email from Tokyo that my description could not be a meteor. Only later did I come to the conclusion it might have been a UFO. I am very familiar with many types of aircraft and it was unlike anything I had ever seen. Entered a report on the UFO Evidence website in July. NOTE: The above image is a rendering. To begin with, Crista Tiltan had no idea she had been abducted. She did, though, realize there was a period of around three hours late one night in July 1987 that she simply couldn’t account for. This would ultimately lead her to seek hypnotic regression in order to discover just what her subconscious was holding back from her. The “most unusual night” of her life was a little sketchy at first. Vague memories of “two small aliens” dragging her by the arms from her room to a strange craft came forth. Then, she lost consciousness, or as Crista recalls “was rendered unconscious”. When she awoke, she was on a table inside of the strange craft, which was now moving. She was extremely groggy and disorientated, to say the least. A strange entity who she would refer to as her “guide” approached her and handed her a drink, indicating that she should drink it straight away. She did, and almost immediately the grogginess left her. Then, she was led to a doorway and outside the craft, which had now, evidently, stopped. She stepped outside, finding herself on some kind of hillside. It was extremely dark, all except for a “faint light near a cavern” which they were now heading towards. As they neared this apparent opening, Crista could see a “man dressed in a red military-type jump-suit”. He also carried a heavy-duty automatic weapon. By the time Crista was inside the tunnel she realized she was walking “into the side of a large hill or mountain”. They walked for some time before another man stopped them at an apparent checkpoint. He adorned the same red military uniform as the first man at the entrance. As Crista looked around she could see a futuristic-looking computer screen with cameras watching her. As the guide and the man spoke, she noticed a “large groove” next to them. This, she could see, was a makeshift road, or track, on which a vehicle would take you further into the mysterious mountain. On the other side stretched a long, lonely, but almost menacing hallway, home to many unseen rooms and offices. Before she could take in any more details, she was ushered into the vehicle which sat patiently on the groove. It moved forward for “what seemed to be a very long time”. Then, the vehicle came to a stop at another checkpoint. This time, however, she was instructed to step on to a “scale-like device” which faced a large screen. As soon as she did, a frenzy of flashing lights and internal computer activity burst into life. Moments later a card emerged. Two holes were punched into it and it was given to Crista as an internal identification. They then proceeded onwards into the building. When she asked where they were going, her guide only replied that they were in “Level One of The Facility”. Before she could ask any more questions, they stepped onto a strange elevator-type device. They moved down before coming to a stop at the next level. There, two more guards were awaiting their arrival, only these had a different color suit to the others. They were led down another long corridor. As she walked she snatched glances inside the rooms along each side. Each room was an apparent hive of activity, with lines upon lines of computers and electronic devices along the walls. Strangest of all, though, was the lighting in the corridor. Try as she might, she could simply not see a source for it. It was both everywhere and nowhere. This last detail about the lighting might seem trivial and unimportant. However, it comes up in countless other descriptions of the interiors of UFOs. And in the, albeit rarer, accounts of such a facility as the one that Crista found herself in. Indeed, this “no-source” lighting is perhaps a connecting factor in many of these otherwise unrelated cases. It was around this time when Crista began to become aware of many other people walking around. Her surroundings looked like “a huge office building” separated into “offices and cubicles”. Then she would spot what seemed to be the heart of the open-plan space. A “giant open space” that resembled a large factory warehouse. Inside and to the sides of this space sat several “alien-type craft”. Underneath them were grey-type aliens, seemingly performing repairs or maintenance. As she stepped onto another elevator, she noticed there were more cameras positioned at all angles and in all directions. When they stepped off the elevator a sign declared they were in Level Five. As soon as she began to follow her guide she began to get an uneasy and frightened feeling. As if sensing this, her guide informed her that as long as she remained with him she wouldn’t come to any harm. Despite this reassurance, there was something about the guards on this particular floor that was different from the others. And more to the point, something not at all friendly. As the guide brought them to a stop, he would hand her a bundle of garments. She was asked to change her clothes. As she unbundled the garment she could see it was a strange hospital gown, only it fastened on both sides leaving her completely covered. As she changed, she noticed the guards in the room salute the guide she had followed. He wasn’t dressed in any military attire, but it was clear that he had some kind of authority here. While the guards all had an emblem or insignia on their uniforms, her guide simply adorned a plain green suit. Before she could think about it any further, she was asked to step on to another scale-like device. Again, this activated all manner of activity and flashing lights. This time, though, the “strange tones and frequencies” caused severe discomfort to Crista’s ears. When the activity had stopped, her guide approached her and asked her to follow him once more. They made their way down another corridor. The further down this walkway they went, the stronger a smell similar to formaldehyde became. Suddenly the corridor opened out into a large room. As Crista scanned her new surroundings she immediately noticed “large tanks with computerized gauges hooked to them”. Tubes and a “huge arm-like device” also connected to these tanks. Crista would estimate them to be around four feet tall. She could see some kind of activity inside, but from the angle she stood, she couldn’t see inside. When she walked over to the nearest tank her guide suddenly reached for her arm and pulled her back. Perhaps ominously he stated that it would “complicate matters” if she was to see what was inside. They hastily left the room and ventured into a huge, open laboratory. The Doctor! Crista looked around the room in awe. She would later recall that despite her medical and laboratory background there were “machines that I had never seen before”. Furthermore, over by a desk or table, was a grey-alien, its back turned from her. When she heard the sound of metal against metal coming from the table, her medical background came into play once again. The metallic clinking reminded her of someone preparing “surgical instruments” ready for surgery. As thoughts rumbled around her mind, her guide told her to sit on the table near the grey entity. She refused. However, the smiling, friendly face of the guide was no more. Almost threateningly he informed her it would “much easier” if she did as he asked. Then, another person entered the room. A man dressed in attire ready for the operating theatre. Her fears were gathering pace and beginning to go into overdrive. Her guide stepped over to this new arrival. Crista could see he had an identification card like the one issued to her earlier. As she watched in ever-increasing horror, the guide turned to her and claimed he would wait outside. It was then she noticed how truly cold it was in the room. The doctor called out for help and another grey alien appeared in the room. Without realizing how or why, she began to feel extremely drowsy. As if some kind of relaxant was taking effect. Then, everything went black. Her next memory is of regaining consciousness while she lay on an operating table. When she attempted to lift her head up the first thing she saw was two large, black eyes staring down at her. When she focused she could see these eyes belonged to one of the grey aliens. She noticed an intense stabbing pain and turned to see the doctor next to her. He was performing a procedure on her stomach, which now went completely numb. She wasn’t at all aware of what they were doing, but the doctor and the grey aliens were fast and precise in their work. When they had completed, she was told to go into a small room off to the side where she would find her clothes. She did as instructed and after dressing, she returned to the room. Her mysterious guide had also returned and was now talking to the doctor quietly. As he walked over to her he brushed off any concerns by simply stating the procedure “was necessary”. She would follow her guide down another hallway, noticing a group of grey aliens pass them heading in the opposite direction. She continued to ask questions in an attempt to understand what was happening. No answers came back. Both she and her guide stepped inside a vehicle like the one she had entered the base on and proceeded to another part of the facility. Crista would recall later, “It was there I saw the most disturbing things of all”. As she entered this next part of the facility, she was met with a sight she was simply not prepared for. Along the sides of the wall was row after row of tall, clear, medical chambers, each one containing a person. Each was “stood” upright and had the look “as if they were wax figures”. Some of the chambers contained animals. Something told her, however, while they may have looked like waxworks, she knew “they were alive”. She wasn’t sure how long she stood staring at the morbid, grotesque scene in front of her before her guide ushered her onto a waiting elevator. This time, as the custom-made car made its way upwards she remained silent. Her mind was nearing breaking point trying to make sense of what she had witnessed. She was soon on board one of the alien crafts which proceeded to take her back to her home. Throughout the entire incident, Crista couldn’t shake the feeling that these events had happened to her before. And not just once, but on several occasions. 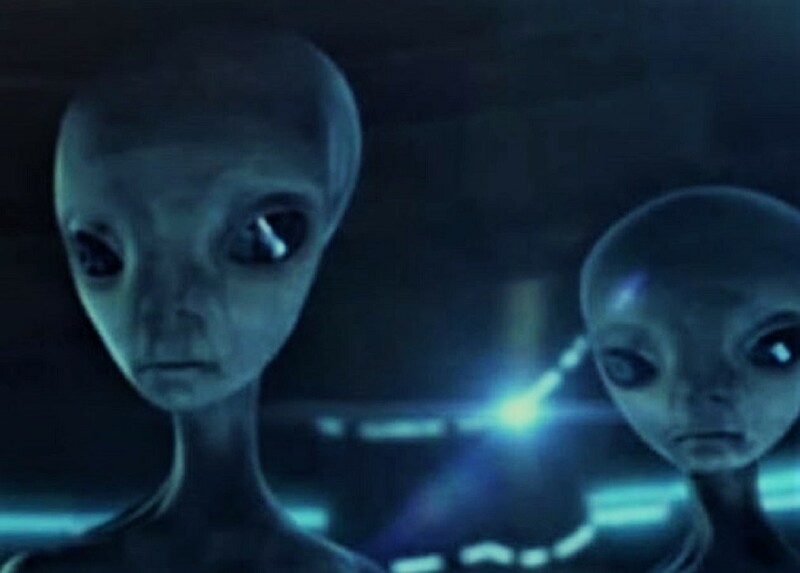 She has also, according to her claims, had several contacts with “other extraterrestrial entities” of a more-friendly nature since the incident. As outlandish as the notion is to some, and if such accounts as those of Crista Tiltan are accurate and genuine, it would appear an invisible war on an entirely secret battleground is taking place in the background to the collective human reality. What the desired end goal of this apparent conflict might be, of course, is up for debate. Although, and again depending on the authenticity of such accounts, time might be running short to find out. NOTE: The above images are CGI. 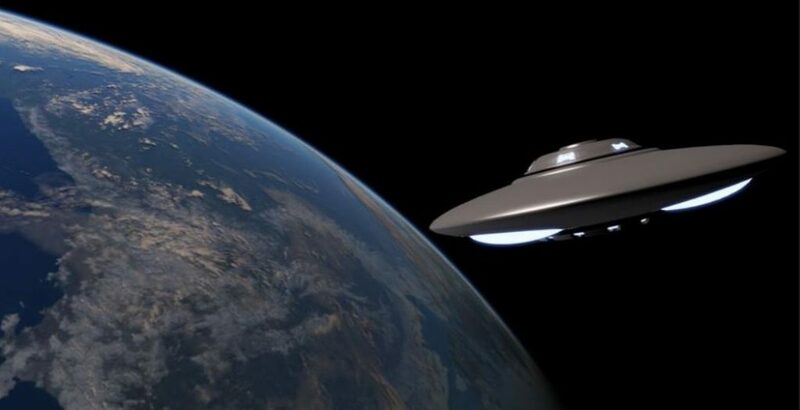 The sound of a saucer Sightings of UFOs in the skies of our planet have been reported for decades – and perhaps, even, for hundreds, and maybe thousands, of years. But what about the sound of a UFO? 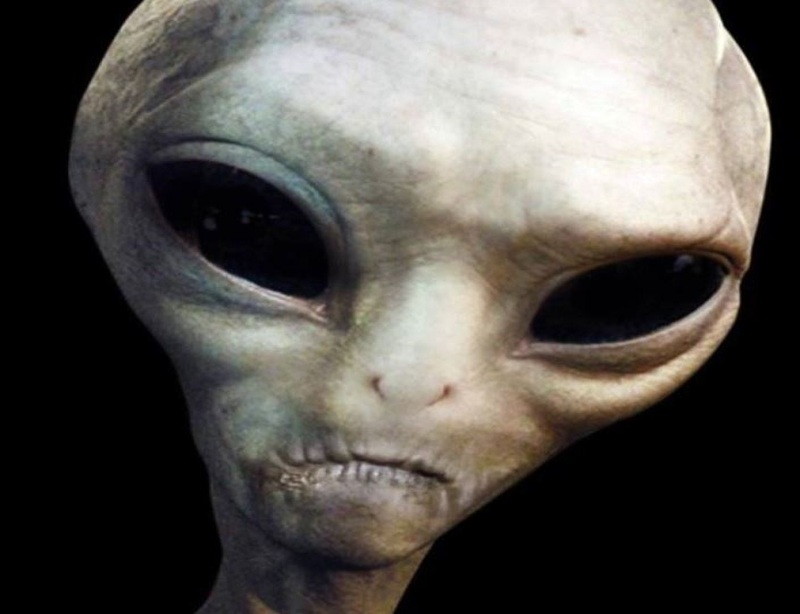 Interestingly, there are numerous accounts on-record where UFOs have reportedly emitted deep, resonating, humming noises that seem to exert some form of both physical and mental influence over the witnesses. Not only that, such encounters have also left eyewitnesses feeling distinctly ill and disorientated. It was the night of August 20, 1957, when a guard was standing watch near a U.S. Air Force aircraft that had crashed near Quilino, Argentina. Suddenly, he heard an “eerie hum” and was amazed to see above him a large, seemingly metallic, disc-shaped UFO. In stark terror, he attempted to draw his pistol, but with the humming sound becoming deeper and deeper, he found himself unable to do so and was certain that his very self-will was under extreme threat. 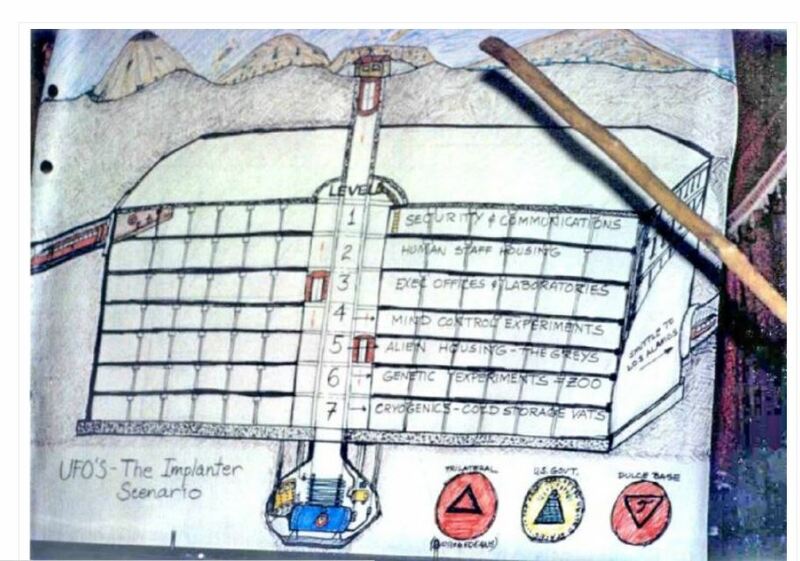 Most fascinating of all, the guard then had an overwhelming sensation that his mind was being “flooded” with information from an intelligence aboard the UFO that revolved around mankind’s misuse of atomic energy – something that he perceived was of great concern to those inside the craft. NOTE: The above image is CGI. On the late afternoon of 7th August 1968, two employees of Buff Ledge summer camp, sixteen-year-old maintenance worker, Michael Lapp, and nineteen-year-old ski instructor, Janet Cornell, were relaxing on the edge of a boat dock watching the slowly setting sun dance on the water. 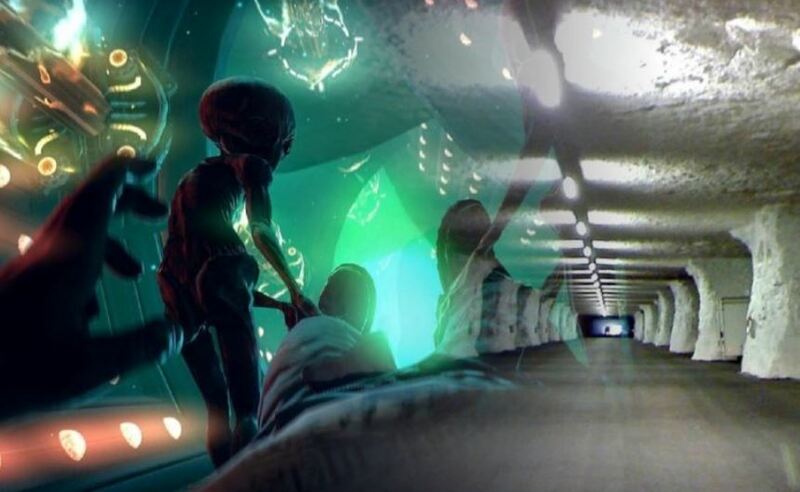 The summer camp sat on the shores of Lake Champlain in Vermont, just north of Burlington which, incidentally, is where most of the campers were this particular ehttps://www.ufoinsight.com/the-1968-alien-abduction-at-buff-ledge/vening, attending a swim meet. Hence the entire campsite was almost deserted. As the sun bid farewell to the day and night took charge, Michael noticed a strange light in the distance. At first, thinking it was a star or even a planet, he sat watching contently. Then, the light suddenly dropped much lower to the ground. And what’s more, it was moving towards the teenagers at an alarming rate. As the pair watched this otherworldly performance, three separate lights detached from the first, large glow. These three lights would head directly towards the lake, while the larger light seemed to ascend again rather quickly and disappear from sight. The three glowing orbs zig-zagged and danced between themselves over the shimmering waters below, pulling off moves that neither had seen an airplane or helicopter manage. As the two teenagers continued to watch, the three shining objects moved closer still to them. Then, they formed a triangle shape and remained still for a second before two of them moved away slightly. As they did so, a sound rang out “like a thousand tuning forks” which caused considerable discomfort to the pair. The remaining object suddenly shot upward before diving straight into the lake and vanishing beneath the surface. Then, it reappeared and glided across the water, heading straight for them. As the object continued its approach, Michael made out a “transparent dome”, seemingly on top of the it. Inside this dome, he could make out “two childlike creatures” with elongated necks and large heads. He also noticed their large eyes which stretched around to the sides of their heads. As it moved closer, rising from the water and hovering directly over the unnerved teenagers, it fired a beam towards them. Michael grabbed Janet out of the way forcing both of them to the ground and away from the strange light. He would later report he remembered shouting at the object “We don’t want to go!” as fears and stories of alien abduction filled his mind. He would also recall that he could see the bones in his hands as if viewing an X-ray such was the brightness of the light beam. It passed closer to them. Each would recall that it caused a floating sensation. And, even stranger, that the light itself had a “liquid” feel to it. The next thing either of the teenagers knew, they were sat calmly on the boating dock. The intense light was gone, and the strange object was now much farther in the distance and heading away from them. The sky was now no longer the dark blue of early evening, but completely black, suggesting it was much later. When Michael turned to Janet, she appeared to be in a trance. Both of them felt somewhat disorientated and confused. As the strange object finally vanished from sight, the pair could hear the other campers back from their swim meet. A Decade Of Intense Nightmares! Michael and Janet would keep the sighting strictly to themselves for the remainder of the summer. And following the end of the camp season, the two witnesses would depart back home and back to their individual plans and lives. However, over the years, Michael began to suffer increasingly intense nightmares. They were always the same – of being abducted and “not wanting to go”. The dreams eventually made him think about the incident at Buff Ledge more and more until eventually, ten years after the encounter, he would contact the Center for UFO Studies to make a report. UFO researcher, Walter Webb, would take on the case. He would almost immediately suggest hypnotic regression to get to the bottom of the nightmares, and to find out just what happened on the boating dock in the summer of 1968. It would appear those memories were bubbling just below the surface as Michael immediately recalled the incidents as soon as he was regressed. He would state that the light had seized both of them and lifted them on board the craft. He recalled “streams of approaching colored lights” while also noticing a “loud whine” the nearer to the craft he got. Once inside the craft, he could see Janet laying on a table and under examination. Several of the small entities performed the procedure. They would shine lights in each of her eyes and take samples of skin, hair, and blood. He viewed the events from some kind of “upper deck” with one of the alien creatures beside him. As he looked upwards to the transparent dome, he could clearly see the Earth, the Moon, and an everlasting net of stars against the blackness of space. Michael also noticed a huge “cigar-shaped” craft which he assumed was a “mothership”. He would recall how these creatures all looked exactly the same, and how their bodies had a “damp and clammy” look and feel to them. 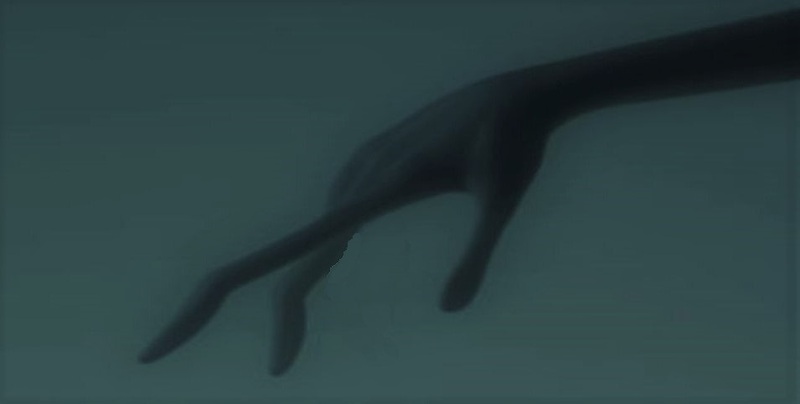 He estimated them to be around five feet tall with long, thin arms and legs. Their skin was a strange “greenish-blue”, a similar color to the skintight green suits they donned, which made them appear as though they were naked. He would further recall that each had “three-pointed web-like digits” for their hands. During this, the entity placed a thought into Michael’s mind. Their mission was to “make life like ours…other places”. When pressed on this, the explanation was much clearer. They wished for life on Earth to be like their planet – without violence. He would also recall that the entity was “surprised” that he was alert and asking questions. Perhaps ominously, and correctly, the creature would state that because of this “it would be difficult for him after the experience was over”. Despite the situation, and for reasons he didn’t understand, Michael claimed to have a “great affinity or closeness” with this particular entity. The creature then led Michael down a set of steps and onto the floor which housed the table upon which Janet lay. Then, the creature led Michael to another table. It tilted slightly to allow him to lean against it before returning to its horizontal position. The last thing he remembered is looking out of the transparent dome, seeing the large cigar-shaped ship now much closer. Then he lost consciousness. During the investigation Webb had managed to track down and convince Janet, now a married twenty-nine-year-old, to also undergo regression. What she described under hypnosis corroborated Michael’s version of events entirely. She would recall laying on the examination table, which induced a “cold” feeling within her. She also recalled something “pulling (my) hair and pinching (my) neck”. Furthermore, like Michael, she recalled following one particular entity who she referred to as her “guide”. And who was “her only source of comfort” throughout the experience. Webb would also conduct extensive research with numerous ex-employees of the summer camp. And the guests during the summer of 1968. He discovered that several employees at Buff Ledge had witnessed strange lights and objects over Lake Champlain on the same evening that Michael and Janet claimed to have been abducted. Furthermore, two other employees would also report to Webb they suspected they too were the victims of abduction. The incident was earlier in the summer, several weeks before the August incident of Michael and Janet. However, it mirrored theirs almost exactly. An incident which began with strange lights over the waters followed by the appearance of a disc-like craft. Webb would also perform several character evaluations on both Michael and Janet. All in all, they were, according to his research, credible witnesses with no reason to manufacture such a story. Certainly not ten years after the fact with no known contact between the pair since the summer of the incident. Overall Webb would find, the pair had “no opportunity for collusion” and “experienced a real external event of unknown origin”. NOTE: The above image is CGI. 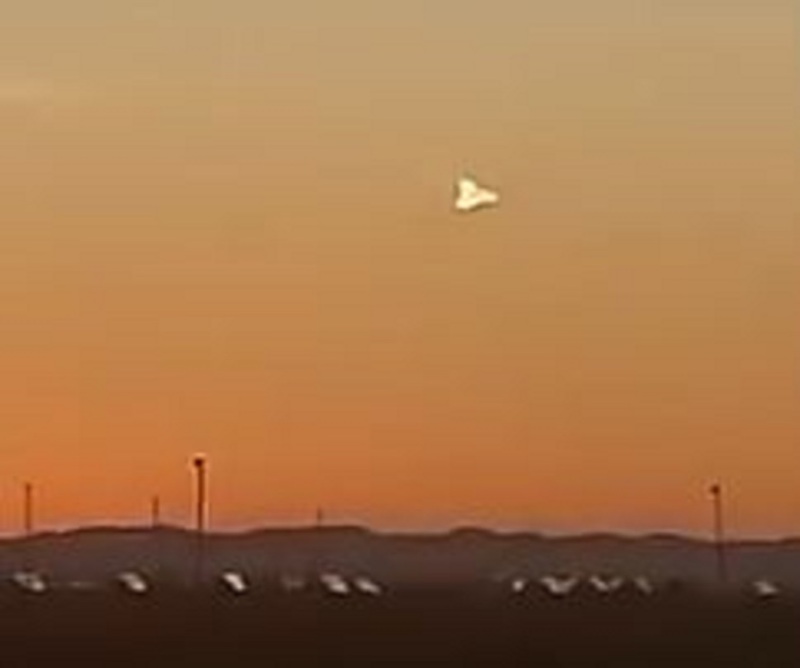 A driver passing by El Paso, Texas recorded something strange in the sky of what appears to be a glowing triangular-shaped UFO. Ufologists are at a loss with the object moving completely silent. 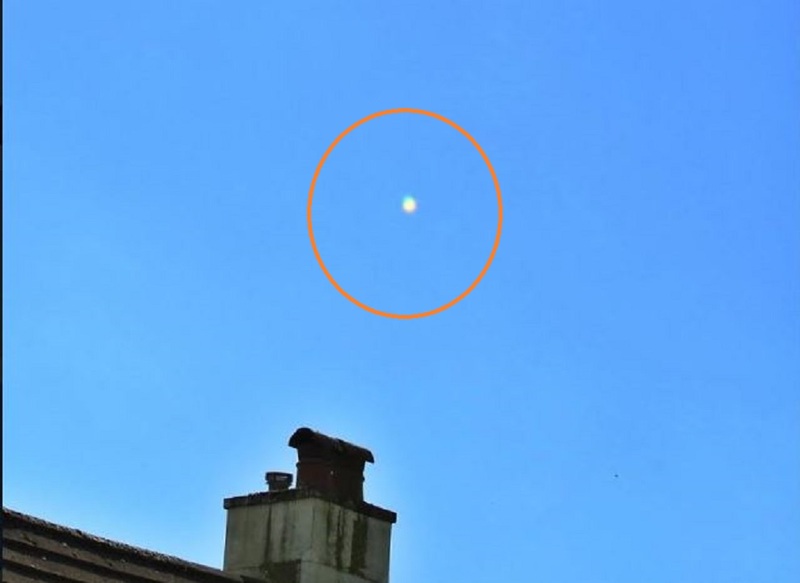 The video shows the strange object moving at high speed in the sky. The UFO appears to be a glowing triangle with a bright backlight, flying without any sound. 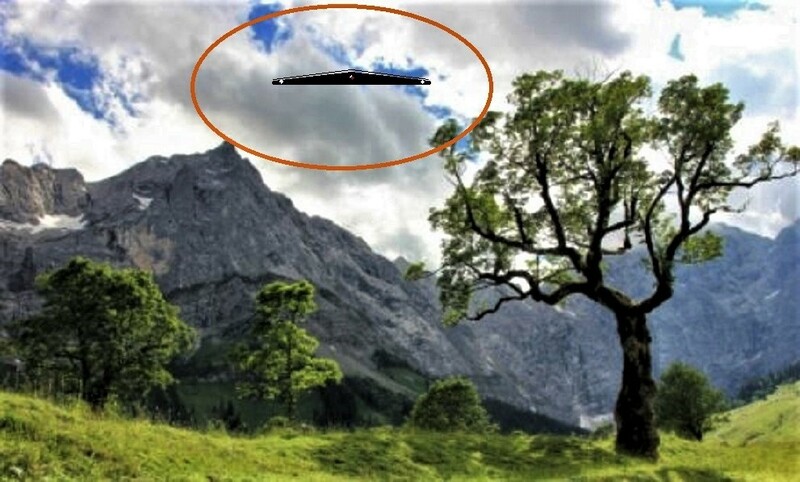 Some believe that it could be an extraterrestrial aircraft. Many reports of triangle-shaped craft around the world but not often they are captured on any media. The capture of this type of flying craft surprised American researchers of extraterrestrial civilizations and the aliens. As apparent aliens appear on the planet every year more often than before, they are also manifested more and more in a fantastic way. Some observers shared their thoughts about the video after analyzing and verifying its authenticity. 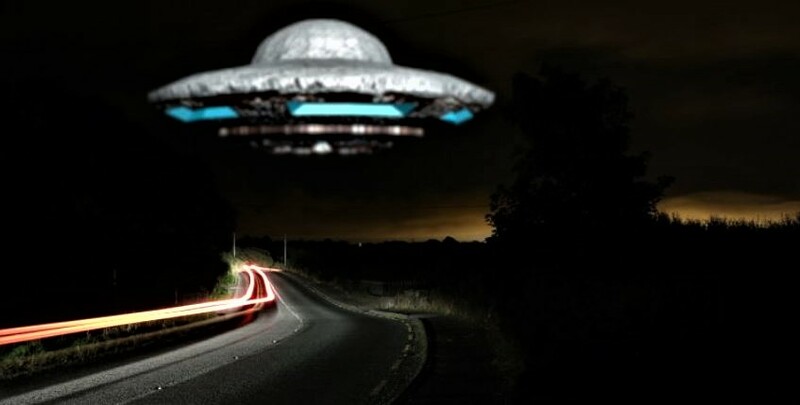 They note that it was strange the car appeared to pace the UFO so well. According to the videographer, he was driving to work and noticing a mysterious light in a triangular shape toward the horizon. He took his Samsung Galaxy S8 smartphone out and snapped photos and a short video. The incident reportedly took place on August 31, 2018, at 6:25 in the morning. He stared at the sunrise as usual because he had to stop a red light. Before he got on the freeway to work, he noticed the UFO to the right. He thought it was weird, so he took multiple pictures. I had awoke around 12:00 a.m. in the morning of August 24 2018, looked out my window and observed the moon and a rather large, oval shape, cluster of lights southeast of the moon. I thought it was stars but it was too concentrated and very unusual. I decided to get my camera (Nikon D5600) and snap a few photos from my driveway. By the time I gathered and set up my equipment it had appeared to lessen in size. I was very disappointed but took the pictures anyway. Any program should tell you the exposures information for I cannot remember, but I do know I set the exposure time for different lengths. Please if you possibly may, observe the pictures, and render a reasonable explanation for me. Thank you for your time and attention. It was approximately 9PM, and I was in my bed watching television. Directly above my bed are three windows with 12″x”12 glass panels. The television was to the left of my bed. Suddenly, my attention was drawn to the floor approximately four feet from the desk my television was on. What I saw was a beam moving very quickly in small circles in one concentrated spot on my floor. The circle motions it made were not perfect, the best I can describe them as were “wobbly circles”. The beam was solid, pure solid light and approximately an inch wide…it was fairly thin. The color was a pure white with somewhat of a blueish tinge around the outside of the beam. The beam itself was bright, but did not seem to emit any light beyond its edges. My room was NOT filled with light, only this beam. I was able to watch for about 5 seconds before I fled my room in a state of total panic. I was not able to tell exactly which of the three windows the beam was aimed through, but assuming that had it beamed straight into my room onto the wall parallel it would be 90 degrees, I would estimate that it hit my floor at a diagonal angle of about 60 degrees. When I got downstairs, I looked outside to see any evidence of a craft (I have never to my knowledge witnessed a UFO) and there was none. There were no aircraft of any kind besides high-flying commercial planes. I did not tell anyone in my house about what I had seen. I wasn’t sure if my mind was playing tricks on me or what had actually happened, but I saw something. When I checked the area later, there was no evidence whatesoever of the beam having ever touched my floor. Two days later, on November 3, 2004, I witnessed one more anomalous event which I believe may be connected, and this time my younger brother was also witness. 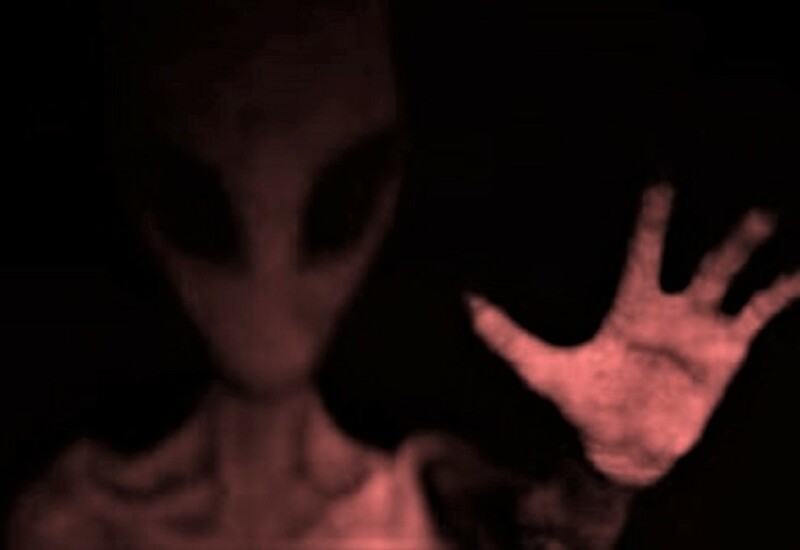 A PITCH black figure, which appeared to be two dimensional, in a very humanoid form quickly passed across a window and wall which were directly in front of where we were sitting, about 12 feet away. The figure had NO discernable features in its face, no clothing, no hair. Just a round head and human like torso were all we were able to make out. It was impossible to make a height estimate. It was for certain INSIDE our house, not a reflection from outside. The sighting of this “being” lasted 3-4 seconds. There was no logical explanation for what we saw, it was most certainly paranormal. I have seen a figure like that once before and I am certain it was of the same nature. – NUFORC NOTE: The above image is CGI. I became conscious from sleep but was paralyzed completely. I could feel pressure all over my physical body as if I were being held in place and held down, even on a molecular level. There was a sound all around that was reminiscent of the sound a baby’s heart makes in its mother’s womb… very loud in my ears and it was externally audible. 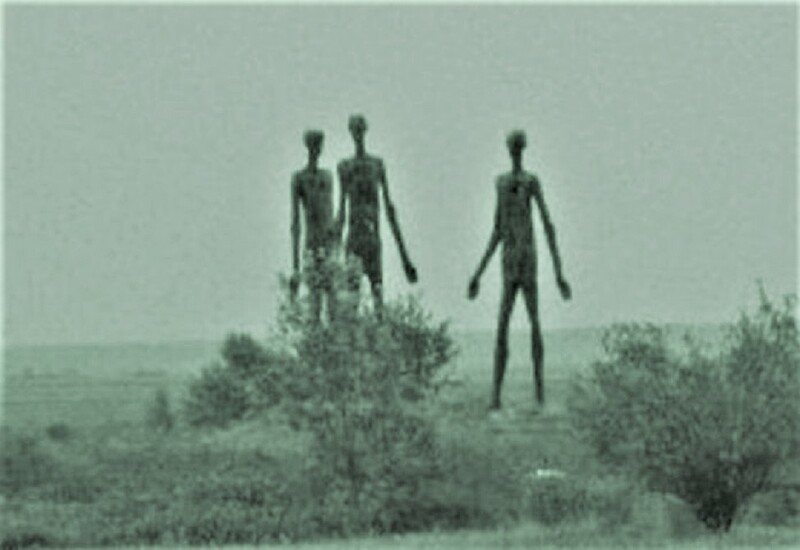 It felt like my life force was being sucked up, and in my mind’s eye I saw 3 figures sitting above me and siphoning my energy somehow. I became very angry that my free will had been attacked. I willed myself to fend them off by saying over and over that they had no right and they would be blown to oblivion. (prayer did not help at all, it was only when I made it known that I was the ONLY authority over myself that they stopped and ran away) All of a sudden, my eyes clicked open and the pressure was relieved. But then there were heavy footsteps on my roof and the doors of my armoire flew open and some items flew out of it onto the floor. I heard noise in the tree outside my window and I went to look outside to see 3 figures heading in the direction of Main street (I lived across from St Margaret’s church at the time). Needless to say I was freaked out and could not sleep anymore that night. My brother lived across from Bel Air High School on Heigh and Kenmore and was also paralyzed that night. The difference in his experience is that his friends broke his door down so they could all go see the “UFO” that was over the school. My brother told me he was paralyzed and could not respond to his friends at the door, who then became alarmed enough to bust it open. When they enetered his apartment he was able to move again. They all ran outdoors to see the ship/craft/ufo. The next day I had bruises on my legs and back which were not there the day before and also some small scars on my ankles that had not been there before. I realize this happened 28 years ago. But I will never forget the feeling and the experience with these beings. Of course being in between 2 military bases, Bel Air is a perfect place for things like this to happen. And there was no internet to tell my story back then either. – NUFORC NOTE: The above image is CGI. The first reports began to come in to several Washtenaw County police departments from just before 4 am on the 14th March 1966. Deputies Bushroe and Foster would report seeing several disc-shaped objects with “star-like colors” of red and green. They were moving across the black early morning sky with great speed. They also performed extremely sharp turns, unlike any known aircraft. By 4:04 am, Livingston County Sheriff’s Department would confirm the sighting and would send extra patrol cars to Bushroe and Foster’s location. 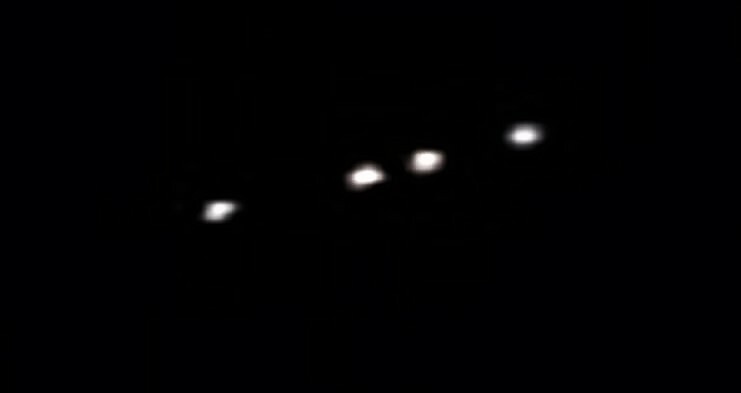 Within the next ten minutes two more police departments – Ypsilanti and Monroe County – also confirmed sightings of the strange objects. At 4:20 am, Bushroe and Foster would report a further four objects of the same description. Just over half-an-hour later at 4:54 am, they would report another two objects. All traveled the same route. Munroe County Police Department would begin receiving calls from concerned citizens of the strange high-speed lights overhead. Selfridge Airforce Base would further confirm anomalies over nearby Lake Erie. By 6:15 am the objects appeared to have disappeared and the incident over. Deputies, Bushroe and Foster would make a formal joint-statement regarding their sightings. They would claim it to be the “strangest thing (we) have ever witnessed” and that they “would not have believed this story if we hadn’t seen it with our own eyes”. Bushroe would further add to the media that the object would “swing back and forth like a pendulum”. It would then “shoot upwards at tremendous speed”, hovering in mid-air before descending again “just as fast”. 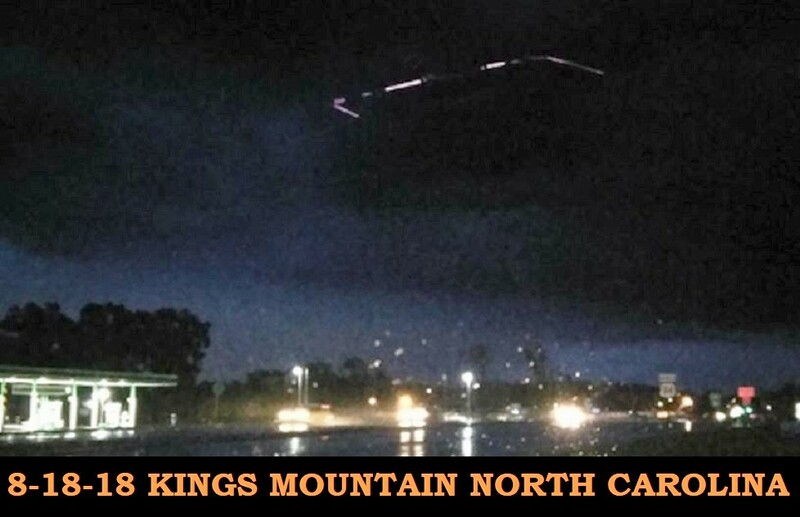 Three days later in the 17th March, at a similar time of 4:25 am, Sergeant Nuel Schneider and Deputy David Fitzpatrick witnessed several strange objects hovering and rising in a purposeful fashion in the sky. Three days later, things got stranger. On the evening of the 20th March, perhaps the most well-known of all the incidents on record would unfold. Farmer, Frank Mannor, was returning home following his usual walk with the family dog, Qazar. He planned some quality time with his wife and son and was looking forward to a hearty meal. As he entered his property, he noticed a strange light in the sky. It was a considerable distance away, however, and after a moments glance, he shut the front door and thought no more about it. Until Qazar began to bark, obviously agitated, that is. After several minutes, Frank and his son, Ron, would go outside to investigate. And to calm the now worked up animal. As soon as they stepped out into the front yard they could see the strange light above them. It was now closer than when Frank first witnessed it. And it was descending. The pair remained stationary and braced themselves for the aftershock of the apparently imminent impact. Then, in the most bizarre fashion, the object stopped dead and remained motionless over the treetops of the woodland opposite the Mannor family home. The would describe the craft as a “domed oval” with a “quilted or waffled” exterior. Lights also flashed from the middle and at each end. After several moments, Frank quickly raced inside. With the object still hovering silently, he called the Washtenaw police to report the sighting. Then, he and Ron set out towards the swamps to where the strange craft came down. 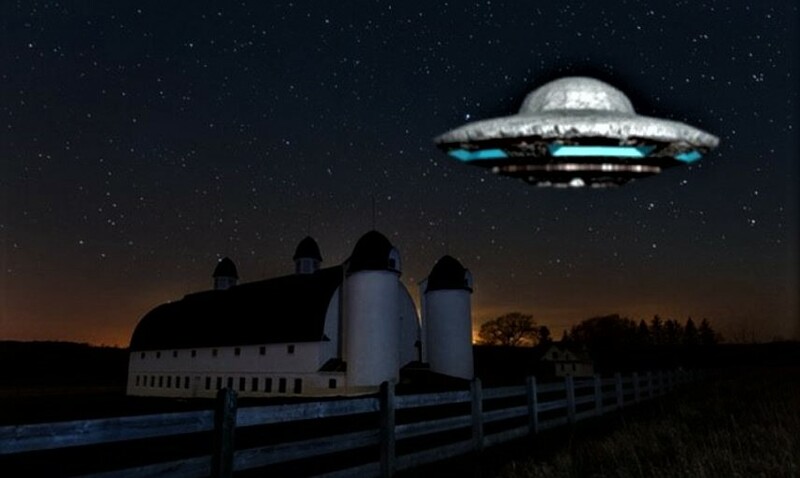 The two police officers who received the call to investigate the strange light over the Mannor Farm were Deputies, Stanley McFadden and David Fitzpatrick. 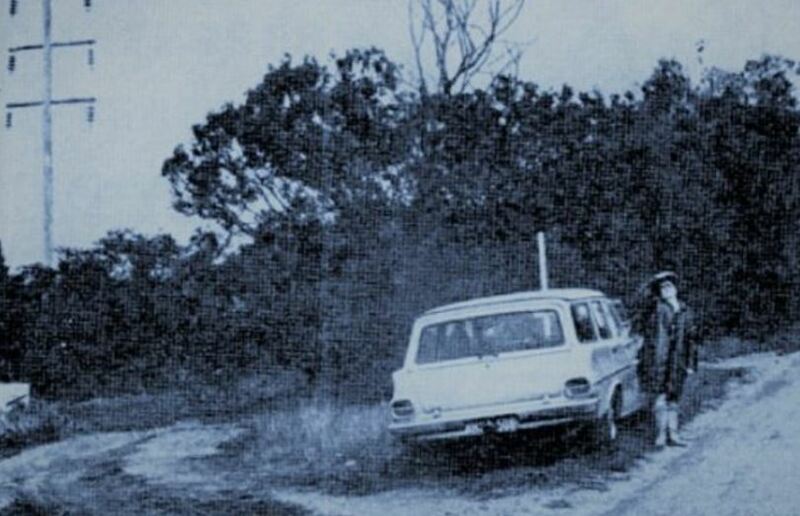 They would pull up their patrol car near the Mannor’s land and then proceed on foot through the swampy grounds. It wasn’t long before they too witnessed the strange light for themselves. As they approached the woodland “a brilliant light” was visible which “dimmed in brilliance” as they approached it. It would then appear again. Then disappear. Appear once more. Then disappear once again. On the other side of the swampland, Frank and Ron Mannor were significantly closer to the lights. So close, in fact, they could see it was a distinctly solid object. Frank would estimate it to be the size of a car with a “cone-shaped” top and a flat underside. It had appeared directly in front of them seemingly out of nowhere. The whole area around them lit up as if someone had suddenly flicked a switch and caught them in a searchlight. A strange mist appeared to emerge from its underside, changing from green, to red, to white in sympathy with the intense glow of the craft’s lights. Then, it vanished. A few seconds later it appeared again with equal suddenness but in a different spot to where it was only moments before. This continued several times before the craft then “took off” at breakneck speed. As it did, and unbeknown to Frank and Ron, it passed directly over the officers McFadden and Fitzpatrick. At just after 10:30 pm the following evening a student at the New Women’s Dormitory at Hillside College would report that a strange craft had descended near their dormitory before disappearing. The student would report that the strange object had flashing lights of red, green, and white. Furthermore, as well as herself, there were sixteen other students who had witnessed the incident. A half-hour later, the same student again contacted the Civil Defense Office stating that the strange craft had suddenly reappeared and was now hovering close to the ground near their dormitory. The person who had taken both calls was the Civil Defense Director for Hillside County, William Van Horn. He would notify the police department who would send three patrol cars to the location. Van Horn himself would also make his way to the apparently other-worldly events currently unfolding. When he arrived at the dormitory, he was taken to the room where the sighting was made. When he looked out of the window he immediately saw a strange object hovering or resting in a hollow on the ground. He noticed a dim orange light that would glow brighter, eventually turning a red, and then to a full white. Suddenly, the strange object began to move, rising slightly into the air, hovering, and then descending again. As it moved, the glow allowed him to make out very definite details of a solid structure. Both Van Horn and several of the students and staff remained at the scene observing the bizarre movements of the glowing crafts. The last sighting of them came just after 4:30 am when they simply disappeared. NOTE. The above image is CGI. ALLEN HYNEK DECLAIRED THAT THE EVENT WAS ”SWAMP GAS ”. OF COURSE HIS JOB AT THE TIME WAS TO DEBUNK ALL UFO SIGHTINGS. HE LATER BECAME A BELIEVER AND BECAME THE LARGEST ADVOCATE OF ALIEN LIFE AND FLYING SAUCER SIGHTINGS. It was coming up on 3 am in the early hours of 27th October 1975 when twenty-two-year-old, David Stevens, and his friend, Glen Gray, were driving along a quiet road in the countryside, just outside Oxford, Maine. Theirs was the only vehicle on the road, their lone headlights cutting through the thick darkness of night in front of them. That was until a brightly lit UFO “as big as a football field” filled their sights. The strange object would head straight for their car, maintaining a position directly over their moving vehicle for several moments. Then, a beam of light shot from the behemoth-like craft and hit them. The vehicle immediately went into a sideways skid, coming to a stop around fifteen feet further down the road. Each man must have blacked out as the next thing they knew they awoke in the stationary vehicle and several hours had passed. They returned home, confused, and both aware that something very much out of the ordinary had just happened to them. However, it would be several weeks before Stephens would see a doctor and undergo hypnotic regression to unlock the missing hours following the blinding light incapacitating their car. When he listened to the hypnosis sessions back, his mind was flooded with the disturbing events on the lonely road near Maine. Incidentally, subsequent investigations would reveal a corroborating witness of sorts. Although they didn’t see the incident involving Stephens, a police officer would report a similar UFO at the same time and in the same area. It is highly likely he witnessed the same object David Stephens claims he saw. And went aboard. Although the men had seemingly blocked them out of their minds, the strange events appeared to begin before they spotted the huge, brightly lit object. At around 2:30 am, while heading towards Lake Thompson, their car suddenly came under some “outside control”. The pair would find themselves on the “back road” to Oxford. However, the car appeared to be “elevated off the road”. Stephens would recall the pair “went around a curve and suddenly saw these colored lights” in front of them. They were only visible for a few seconds before “two big bright lights” filled all points of their vision. The next memory Stephens has is of “looking down on the car” from the window of a strange room. Then, he noticed a strange creature enter the room. He would describe this strange being as around four-and-a-half feet tall with extremely pale skin. Perhaps strangest of all was the mushroom-shape of its head. There were two eyes without eyebrows, and in place of a nose were “two dots”. Around his body was “a sheet or a robe”. A message sounded inside his head to not be afraid, suggesting to investigators, telepathic communication. The creature then guided Stephens to a different room, in which there were several other figures the same as the first. The room had a distinct medical-type feel to it, including what appeared to be an operating table on which he was told to get on to. Once there, samples of his blood were taken. When he was asked to undress, instead of complying, he took his chance and lashed out, hitting one of the creatures. Although the action on Stephens’ part did cause the creatures to back away from the table slightly, they merely persisted that he would not be harmed, and asked him to undress for examination. Eventually, the surreal nature of the experience already weakening any resolve he might have, Stephens did as they requested. The next thing he knew, a large device with an arm like an X-ray machine was moving over him. As the device was moved over the entirety of his body, a distinct “clicking” sound rang out. They would retrieve samples of his hair and even of fingernail clippings. These would go into some kind of strange-looking tubes. He was then asked to redress, which he did, immediately realizing he was suddenly in another room, again looking out of a window. Then his memory appeared to “fast-forward” once more as he was suddenly back in the driver’s seat of his car, with Glen in the passenger seat beside him. Both were just coming to, and the vehicle was still in the middle of the lonely road in its sideways position. Even more unnerving, however – the large craft remained over them. Stephens quickly started the engine and pulled away from the scene. They would go as far as the town of Poland when the strange object finally disappeared from sight. A short time later, they turned the car around to head back towards Oxford. Not long after doing so, though, the car once again came under the control of an external force. The pair would find themselves on a dark lane, overlooking Tripp Pond. That was when the engine cut out, and a large craft appeared in front of them. The craft was no more than 300-feet from the roof of the car. As they looked in awe at the unbelievable display above them, each also noticed two smaller crafts emerge from the water. They would rise high before diving towards the water again. They would repeat this several times before they, along with the main craft hovering over the crippled car shot into the air and disappeared. The encounter had lasted around twenty minutes. By the time they restarted the car and set off to Stephens’ parent’s home, the sky above them was beginning to lighten. A look at the clock revealed it to be after 7 am. The two young men went straight to bed after arriving home, determined to keep the encounter to themselves lest “everyone’d think we were nuts”. However, shortly after arriving back, both began to feel extremely ill. Stephens would recall how they “felt like we were in a daze”, and of feeling as though he “couldn’t walk, see straight or hardly even talk”. When Stephens’ mother examined the young men she would find “their hands and feet swollen” with both men sweating yet complaining of feeling intense cold. Despite them doubling their layers, “I couldn’t keep them warm enough” she would recall. By the end of the day – around twelve hours after the incident – they began to feel somewhat better. However, both wouldn’t feel back to full health for several days. NOTE: The above image is CGI. What made me first notice the object was motion, I could see a string of lights that resembled the visibility lights of a semi-trailer. Wondering why there would be a truck here at this time of night I began to pay closer attention to them and quickly realised that these lights were of various colours instead of the usual amber that truck lights have. I also noticed that there was no engine sound despite the fact that the “truck” was within 100m of me, on a very still and clear night. At this point I realised that I was not looking at a truck but at a spaceship that was moving along the ground from N to S at an altitude of about 6 ft. There were no wheels, it was not an aircraft and yet it hovered silently above the ground. I was absolutely bloody terrified! No joke. The moment I realised what I was looking at I froze and it took me some time to recover my willpower. When I did I immediately turned and ran back to the house, not looking back and when I arrived I told everyone what I had seen. I lost sight of the object after running away from it. A short time after this event, either a few days or a week or two I was lying in bed and had been asleep or almost asleep when I was awoken by a very bright light shining through my window. It was typical for my parents to park their car on the side of the house where my room was and, as they pulled in they would usually turn the car so that it was facing outward for the next trip. (This is on a farm so we’re not talking about a small suburban driveway but a larger area on my side of the house where they usually parked). I remember that the light was on for some time and I could not understand why they had stopped half way through the turn with the lights, which seemed to be on high beam, blaring right into my window late at night. I was irritated by this because I wanted to get to sleep. Finally the light went off and I relaxed a little, anticipating the sound of the car door and my folks coming inside but the sounds never came. Once again I began to wonder what was going on? First they shine the headlights lights in my window for some reason and now they’re just sitting out there? Are they drunk, is something wrong? It was making me curious and I was preparing to get out of bed to investigate when I heard the sound of a car coming up the driveway. The car was my parents. Confused, I waited on the verandah for them to come out of the car. In my mind I still believed that the light had come from a car outside my window and, as there was no car there, I was struggling to understand what was happening. When my parents arrived they seemed quite agitated and scared. 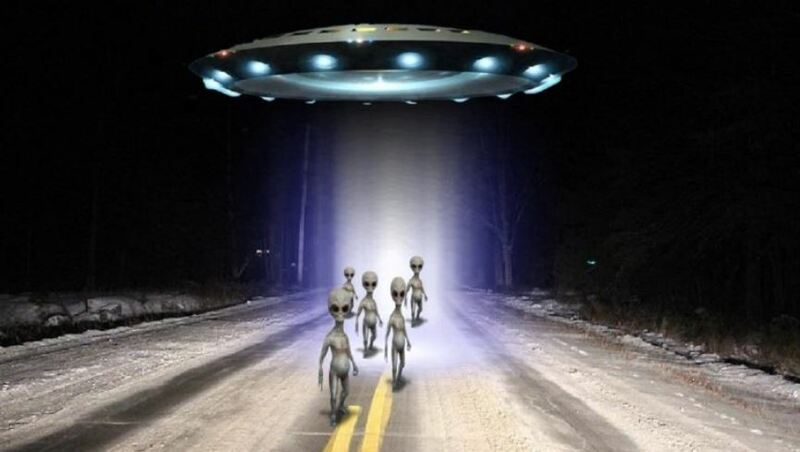 They told me that they, as they had approached the turn off to the driveway (once again, our drive was over 1km long as we lived on a fairly large property), had seen a bright light in the sky hovering over the house and that, as they had approached in the car, it had disappeared. They seemed unsure if it had disappeared or shot into the air at very high speed. It’s almost certain that the light I had seen was from this spaceship, which also may have been the same ship that I had seen previously, come back to visit again. I’ve had other experiences since (and prior) to this but this is my only “close up” sighting of a spaceship (I hate stupid terms like UFO, “Flying Saucer”, UCT etc, why beat around the bush with daft euphemisms? They’re bloody spaceships so I’m going to put my money where my mouth is and call them that!) Further Notes: After having been greeted by bemused looks upon reporting my first sighting I felt rather vindicated by this second event. NOTE: The above image is CGI.